There are right ways and wrong ways to buy a home. The latter of which will cost you a lot of unnecessary money, stress, and frustration. 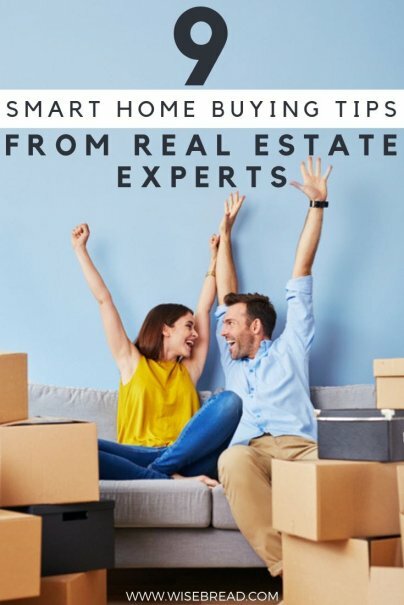 Use best practices, however — as offered by real estate experts below — and you'll walk away a winner with a smile on your face and cash still in your bank account. Selecting the right real estate agent can make all the difference when it comes to finding your dream home and negotiating the best price. Carlos Miramontez, vice president of mortgage lending at a California credit union, offers a few pointers on narrowing down the agent pool. "Doing your research upfront can help you make a wise decision and choose a well-qualified real estate agent who's right for your needs," he writes on the company blog. "Remember that you're creating a business relationship. It's important that you work well together, as it could be several months before the entire buying or selling process is complete. Enjoy a cup a coffee with a few agents before you make the decision on which partner is right for you." How often will you send me listings? Will you show me homes when I'm available (e.g., after work or on the weekends)? What type of property do you specialize in (e.g., condos, single-family, or town homes)? Have you worked with other clients in my desired area and price range? Social media is a great resource for connecting with real estate agents in an unfamiliar area, says Brady Hanna, president of Mill Creek Home Buyers in Kansas City, who has been buying, renting, and flipping houses for over a decade. How do you stand out in a pool of potential buyers? Send a personal note to the seller with a creative story about yourself, why you're the best buyer for the house, and your plan to make it a home. Life in the city is attractive and convenient for a lot of people, especially if you're the type that likes to have necessities within walking distance. But even though life's essentials are easily accessible, the financial picture over time may rob you of a certain quality of life. "Be sure to check out properties in the 'burbs and take the cost and time of your commute into consideration," suggests Shane Lee, data analyst for RealtyHop. "While the city life is always amazing, you might find a way better deal in the burbs. You can even find a fixer upper and make it your dream house with the money you save on the purchase." Most first-time home-buyers concentrate on the down payment — the largest of all the out-of-pocket expenses — but there are plenty of other fees required for a property purchase that you should be aware of before starting the process. "Budget for down payment, closing costs, and other costs as early as possible," Lee advises. "In addition to the 20 percent down payment (some lenders require less), origination fees are usually between 2 and 5 percent of the total loan amount, and it is crucial that you start saving early on, so you have enough cash to cover all mortgage-related payments, legal fees, as well as broker's commission by the time you are ready to close the deal." Don't forget about the often-overlooked hidden costs that'll pop up before you know it, like property taxes, insurance premiums, and any Homeowners Association (HOA) dues. Taxes and HOA dues vary, so be sure to ask for details. Obtain an insurance premium estimate from your insurance agent. It's important to figure all this out before committing to a property to ensure you can afford the entire scope of fees associated with it. Robert Nordlund, founder and CEO of Association Reserves, explains. "'Location' is certainly one of the most influential factors in the value of a real estate transaction, but when it comes to buying a home in one of the 350,000 association-governed communities (AGCs) in the United States, home-buyers face two additional circumstances," he says. "First, getting a good value on the front end will be influenced by largely unpublicized financial factors unique to that AGC. Second, the long-term fate of their investment will be permanently hitched to the decisions or whims of a group of volunteer board members. The vetting process is not complicated, but it does take time and should be completed before any offer is on the table." If the association is professionally managed, meet with the manager. Check the association's annual budget and make sure it's accurate and balanced. Ask for a copy of the Reserve Study and take the time to understand it. Check the curb appeal closely in daylight and in the evening. Make note of any obvious deferred maintenance. Ask about the history of special assessments. Evaluate the transparency of the board and manager. Read the association's rules and standards. Real estate expert, Julie Gurner, makes a case for spending the least amount possible on a home that meets your needs and makes you happy — even when you have plenty more to spend on it. "While your friends might struggle to pay for something at the top of their budget, shoot for a home that is 75 percent or less of what you're approved for to be able to save more effectively for retirement, emergency repairs, travel, and generally enjoy your life far more without the fiscal burden," she says. How can you do that? Look for the most outdated home in the most desirable neighborhood. "Look for a home where the style is outdated — it might need a new kitchen, there's likely old wallpaper or carpets — but it's well tended to and all the bones are solid," Gurner adds. "With time and a bit of effort, the ugliest home on the block can almost always become your dream home. With so many people expecting move-in-ready homes, the outdated homes are often overlooked gems that can save you a fortune and put you in a position to build sweat equity from day one." For home-buyers in New York City, San Francisco, Los Angeles, and many other coastal markets, purchasing affordable single-family rental (SFR) homes out-of-state is a great way to get started buying real estate and building long-term wealth. "Buyers in these coastal areas can find higher yields and lower median home prices than they can in their own backyards," says Zach Evanish, who leads sales efforts at investment-property resource Roofstock. "Some prime examples include Memphis, Cleveland, Indianapolis, Atlanta, Dallas, Phoenix, Pittsburgh, and other metros across the Southeast, Midwest, and Southwest. Buying SFRs remotely can also be a stepping stone to amassing an investment real estate empire with ample positive monthly cash flow, and to eventually buying an owner-occupied home in one's own hometown, thanks to this stable stream of monthly rental income." One of my own personal tactics for saving money on the homes I've purchased is taking advantage of an inspection that reveals interior or exterior issues. If the seller is in a depressed market or needs to sell quickly because of other circumstances, you have a great chance of making post-inspection deals. "Home sellers often describe their property's condition as much better than it is. A good inspection often reveals unanticipated defects," explains Lucas Machado, president of House Heroes, a real estate investment company. "Don't be afraid to ask for a reduction. Buyers sometimes hesitate to request a lower price due to fear of losing the house. In reality, sellers give plenty of reductions upon request — even tens of thousands below the initial offer. There is no downside to asking — and you can still proceed if they say no."